When we visited the Netherlands a while back, it was a great opportunity for me to introduce Miguel to some traditional Dutch foods. Like any other country in the world, the Netherlands has its typical foods too and there are some things you really have to try when traveling to the Netherlands. 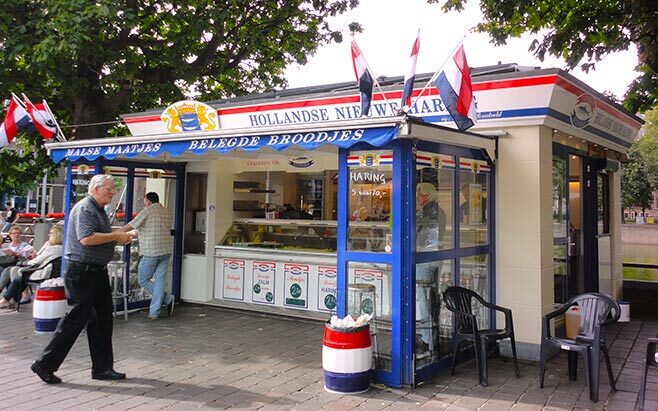 Below are the top 10 best traditional Dutch foods to try in the Netherlands. A lot of people are surprised when I tell them we eat raw fish in the Netherlands every now & than. Well, ‘every now and then’ is really not frequent enough for some people. When I was in the Netherlands for a while last year I was eating around a herring a week. It’s an acquired taste, but personally I love it! Each year, around June the so called ‘season’ starts and the ‘New Herring’ (which is another name for it) is available in supermarkets and at local markets. 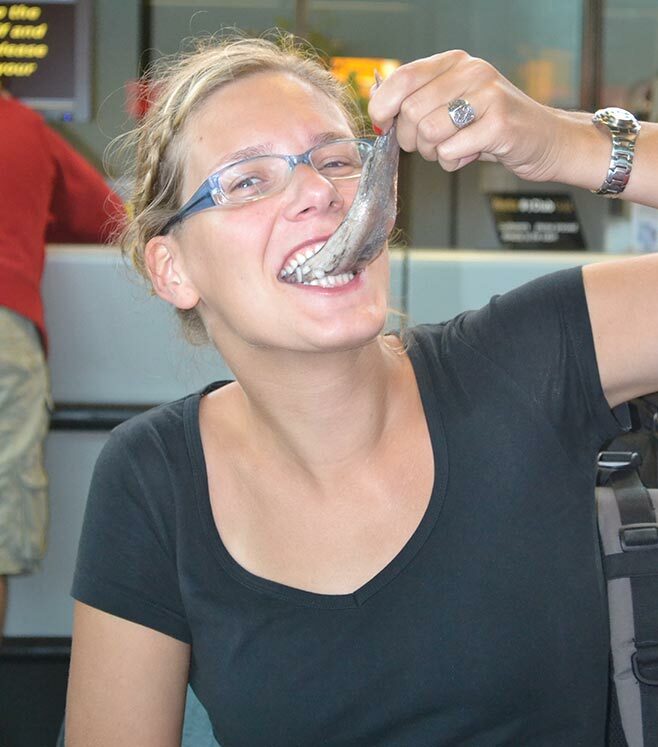 Dutch people usually eat the herring on a sandwich, with onions or we pick it up by its tale and just let it slide into our mouth. Be sure to try this traditional Dutch food when you are visiting the Netherlands. 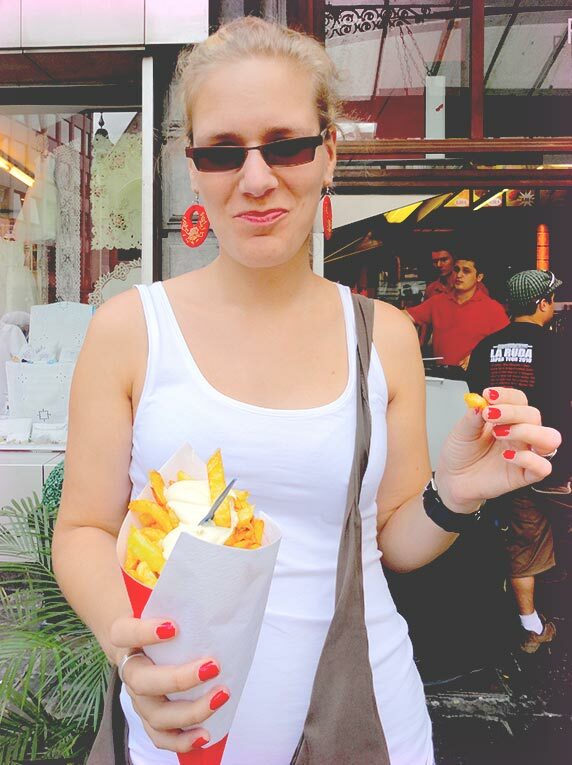 Eating French fries isn’t anything special, I’m sure we all eat them every now & than. What’s special about the way the Dutch eat their fries is that we put mayonnaise on them instead of your typical ketchup. Or sometimes mustard even! You could say we put anything on them really as some people like their fries with mayonnaise, ketchup & chopped onion. The first time Miguel saw me eating fries with mayonnaise he thought I was crazy, but he’s actually started to like it and prefers mayonnaise over ketchup these days. 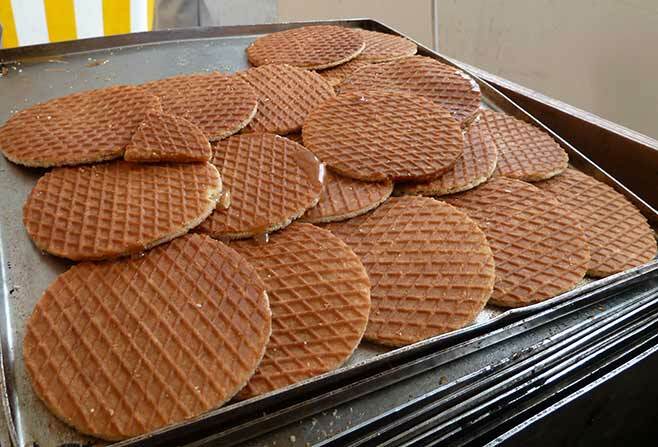 The traditional Dutch ‘stroopwafel’ was made in the 19th century in the city of Gouda for the first time. Originally these waffles were for the poor as they were being made of leftover cookies, crumbs, and leftover dough. They are two soft, round, and thin waffles with caramel syrup in between them. You can’t go to the Netherlands without eating a fresh, warm stroopwafel, it’s a must! Salty, sweet, and double salted licorice are only 3 of the many different kinds of licorice that people eat in the Netherlands. All together the Dutch eat about 32.000.000 kilograms of licorice a year, so yes; drop (as it’s called in Dutch) is a traditional kind of candy. For us Dutch people it’s a very standard candy and we eat it often and a lot, even little kids like it. It is an acquired flavor and most people who aren’t Dutch don’t like it, but you should definitely give it a try! Yvonne not to sure about all the fried food. These things are all deep-fried snacks. Snacks that we often eat with our French fries. 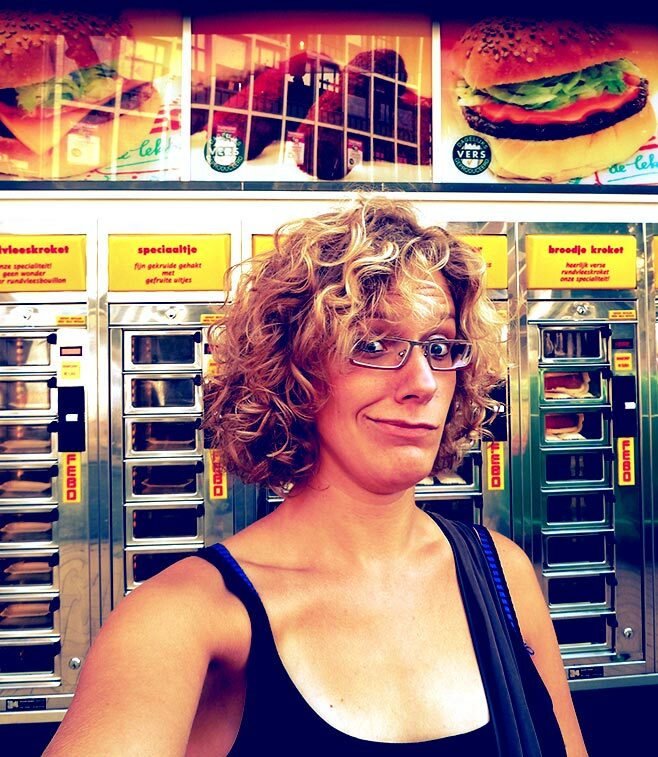 The ‘frikandel’ is eaten by itself or with mayonnaise, ketchup & onion. The ‘eierbal’ (literally ‘eggball’ is popular in the northern part of the Netherlands. It’s a hard-boiled egg, surround by a kind of ragout (hash) and a crunchy cover. Bitterballen are more a snack that we like to eat with a drink, for example when meeting with friends at a café. There is a reason people from the Netherlands have the Dutch nickname ‘kaaskoppen’ (cheese heads). The reason why is as simple as can be: we eat a lot of cheese. On an average basis we eat over 14 kilos of cheese per person, per year. 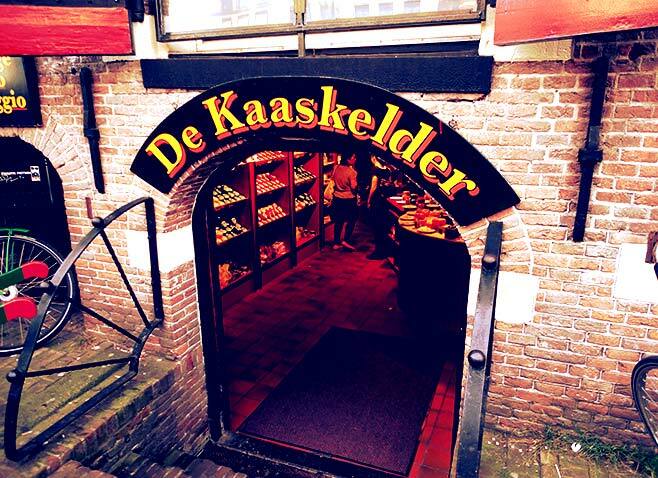 When visiting the Netherlands cheese is one of the things you need to try. 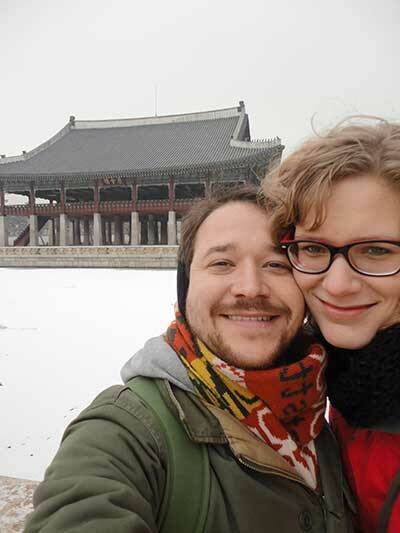 If possible you should even bring some home as a souvenir! There’s a wide variety of cheese available, such as goat cheese, Old Amsterdam, cumin cheese and even garlic cheese. If you really want to get the feel for the Dutch cheese culture you should visit the cheese market in Alkmaar. 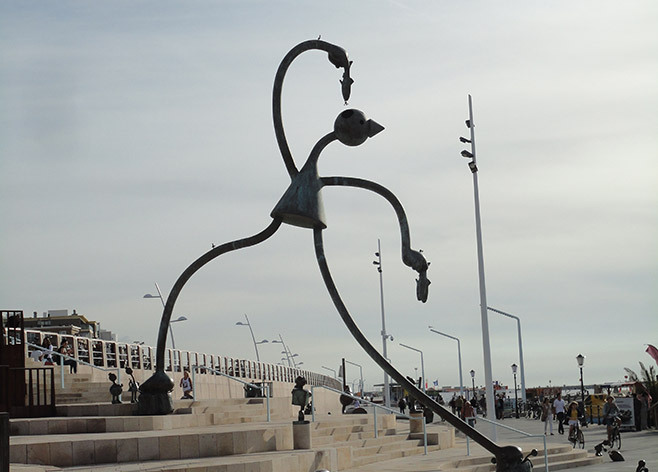 There they show travelers the way people were trading cheeses back in the day. Number 7 on the list is an actual meal. It’s a dish based on potatoes and vegetables, which are mashed. Potatoes can be mashed with kale, onions & carrots, sauerkraut or salted beans. On the side we often have sausage and gravy. It’s a budget friendly meal as potatoes are a staple food in the Netherlands and they are never really expensive, just like the veggies we usually put in the meal. Although we all think poffertjes are originally Dutch, they were actually first made in France. They are sweet, thick, round & small pancakes which are made in a special pan. Eat them with some butter, powdered sugar and a little bit of syrup and you’re doing it the right way! Is it December yet? Cause that’s when you will be able to get yourself some oliebollen. It’s a snack (fried dough) which we typically eat on New Year’s Eve. But not only then, you will often see food stalls selling them at fairs. The oliebol is quite old, the first recipes were written in the 17th century. They come in different flavors, like plain, with raisins, with apples. This soup is the kind of soup we eat as a meal, not as an appetizer. It’s a soup made of peas, leak and celeriac. We add some meat and a sausage to add some flavor and on the side we’ll have some rye bread. Noms! There are many different types of soup eaten in the Netherlands, but I think many would agree that Pea Soup is a traditional Dutch food. So, next time you are in the NL make sure you try this tasty meal. Have you tried any of these traditional Dutch foods? These 10 traditional Dutch foods are just a few of the many Dutch dishes available to travelers visiting the Netherlands. Although there a many options to choose from, these traditional Dutch foods are probably the most famous and are a must try for anyone passing through my little country. Awesome Amsterdam has a few other items on there top 10 traditional Dutch foods list, if you want other ideas of what to eat while traveling in the Netherlands.